Bruno Dumont directed his first feature film at the age of thirty-eight: La vie de Jésus (1996), shot in Bailleul, where he was born. This film earned him immediate acclaim: it was selected for the Director's Fortnight, winning a Caméra d'Or Special Mention. Creating demanding, singular and raw works of cinema, Bruno Dumont returned to Cannes in 1999, in Competition, with L'humanité. He was awarded the Grand Prix and a double Best Performance prize for two of the films non-professional actors. 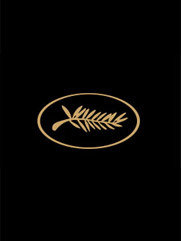 Bruno Dumont moved away from Northern France to shoot Twenty-nine Palms in the Californian desert, a road movie that was selected for the Venice Mostra in 2003. In 2006, Flandres, a harsh film about the devastation caused by war, received the Grand Prix at the Festival de Cannes.